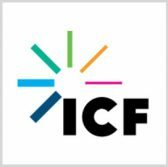 ICF has received a pair of multimillion dollar contracts from the General Services Administration to help the US. government establish two centers of excellence that will focus on service delivery analytics and customer experience. Both projects are part of the White House’s Information Technology Modernization Plan and each contract has one base year plus two option years, ICF said Wednesday. “We’re thrilled to be involved in this groundbreaking effort to modernize citizen interaction with government,” said Kris Tremaine, an ICF senior vice president. The company will initially partner with the Agriculture Department to craft a roadmap on how to implement and manage the plan’s centralized functions. ICF intends to recommend best practices for governmentwide adoption after USDA and its federal partners complete a review of the roadmap.